Ticks can infect dogs with Lyme disease, so it's important to prevent ticks from infesting your dog's coat. Medicated tick dip baths kill and prevent ticks, but the chemicals can cause irritation to some pets' coats. Homemade tick dips can be made with natural products from your home. Coffee, lemon and fennel are three natural ingredients that can be used in a homemade tick dip. Put your dog into a tub full of warm water. 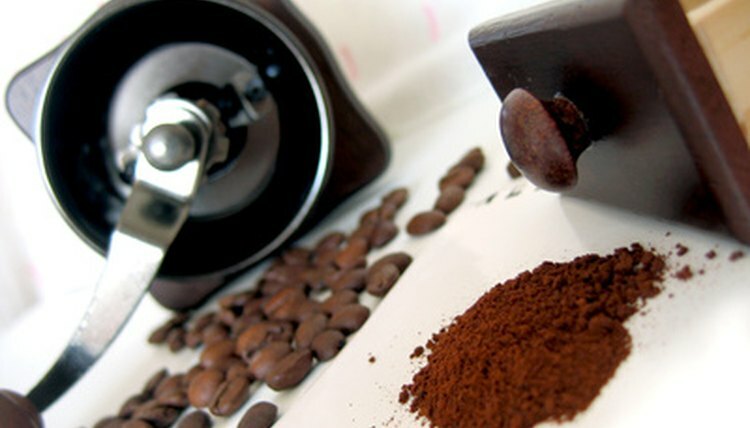 Take leftover coffee grounds from a coffee maker. Rub the coffee grounds all over your dog's coat, making sure to get the grounds close to the dog's skin. After rubbing it over your dog's entire body, wash the grounds off with dog shampoo and water. Put a lemon into the pot, and let it boil for two minutes. Turn off the stove, and let the water sit overnight. Pour it over your dog the next day. Do not rinse it off. Sprinkle a cup of fennel over your dog's bed or favorite spot. Let your dog roll around in it. If the dog avoids the fennel, rub it into the dog's coat.